Thank you for reading, My name is Melissa and I am a Disney fanatic. I’m also a travel agent. You will find me with my family almost every weekend in one of the Disney parks. It never costs extra to book your Disney vacation through me over booking directly with Disney; that’s right, all of my planning services are free. Iwhat are you waiting for? Your vacation starts with a free quote. My son and myself went to Disney summer of 2015. We stayed on site and both have magic bands. I am taking advantage of the three day special they are currently offering and plan on visiting this May but will not be staying at a resort. Should we bring and wear our bands from last time? Are there any benefits in wearing them? Hi Jonathan – I have no doubt that you will enjoy your time in Walt Disney World with or without MagicBands. You can still get MagicBands even though you are not staying in a Walt Disney World resort, you just have to purchase them separately. There are numerous designs that you can choose from and you can buy them before you get there at the Disney Store online or you can purchase them once you arrive & have the cast member assist you with linking them to your My Disney Experience account. 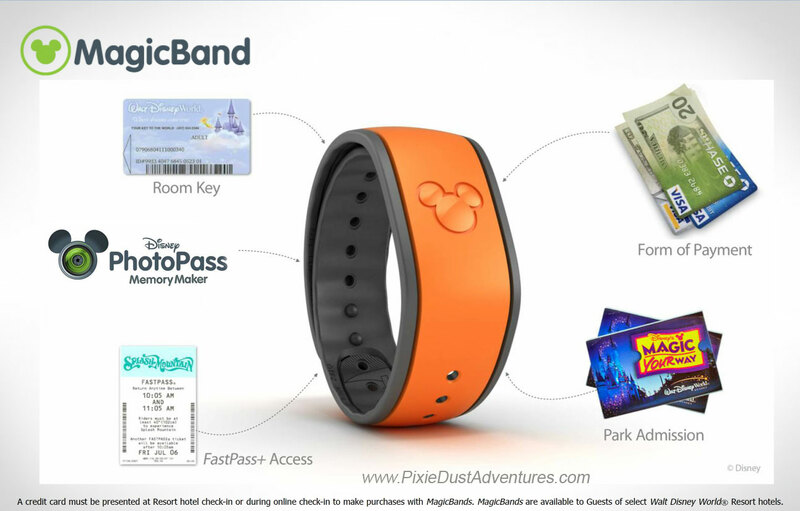 When you are staying at a Walt Disney World Resort you can use your MagicBands for your room key, park tickets, event tickets, charge card, dining plan and your fastpasses. It all works that way because you have a credit card on file with the resort. Even though will not be staying at a Walt Disney World resort, you will still be able to link your MagicBands to your My Disney Experience account and use them to enter your fastpasses and also at the entry to the parks as your park & event tickets.